We’d love your help. 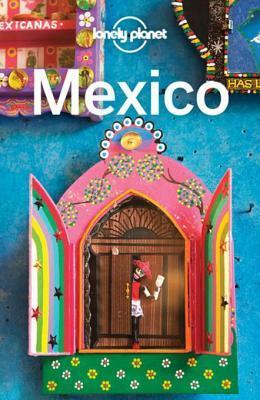 Let us know what’s wrong with this preview of Mexico by Lonely Planet. To ask other readers questions about Mexico, please sign up. Great overview; however, I wish it delved more into smaller destinations (i.e. La Paz), especially for the outdoorsy tourist who likes to eat and drink (ME). Great guide to Mexico from North to South. I would have like to seen more hotel and restaurant suggestions. Great overall guide that I bookmarked over and over. Suelo utilizar las guías de Lonely Planet durante mis viajes no obstante ésta me ha decepcionado. Mi opinión se basa en la parte dedicada a la península de Yucatán, que ha sido la que he utilizado y podido contrastar personalmente. Falta información precisa sobre los lugares menos típicos o desconocidos de la zona, cosa que en otras Lonely Planet se incide con mucho más detalle. Las descripciones son muy breves y en algunas ciudades falta mencionar algunos monumentos/lugares de interés. Lógicame Suelo utilizar las guías de Lonely Planet durante mis viajes no obstante ésta me ha decepcionado. Mi opinión se basa en la parte dedicada a la península de Yucatán, que ha sido la que he utilizado y podido contrastar personalmente. Falta información precisa sobre los lugares menos típicos o desconocidos de la zona, cosa que en otras Lonely Planet se incide con mucho más detalle. Las descripciones son muy breves y en algunas ciudades falta mencionar algunos monumentos/lugares de interés. Lógicamente al ser Mexico un país tan grande es imposible abarcarlo todo pero aún así considero que se habla más sobre restaurantes y alojamiento que de los lugares a visitar como tal o las actividades que se pueden realizar, que es por lo que uno viaja al país. Well honestly I am very disappointed with this lonely planet! Mostly it contains just lists of where to sleep, or eat or drink. Hardly there is any historical information about cities or cultural descriptions. I have been always very happy with lonely planet books, but definitely not with this one! It is a pity that such a beautiful country is so poorly described in one the most famous travel guides! As always, Lonely Planet provides great recommendations making travel a virtual no brainer. I was able to easily find clean hotels to stay in in Oaxaca city and Puerto Escondido, as well as websites to make reservations for bus trip from Mexico City to Oaxaca city and a combi ride from Oaxaca to Puerto Escondido. The descriptions clearly described what I could expect when traveling. Yeah for Lonely Planet making budget travel so easy!! The guide is okay (used it to explore Mexico City, Tiotihuacan, Puebla, Oaxaca City, Monte Alban, Tiotitlan del Valle, and Benito Juarez). Good for the city and attractions. Not very useful for hotel/lodging information (online resources are more useful for that). Would recommend reading to plan your itinerary but do additional research on transportation and lodging. Pretty informative in the places it covers but too biassed and too many places missing. I don't think LP guides should include information on hotels and restaurants anymore, at least not for major cities and big towns where there are a lot of options and often those recommend by LP aren't the best. Exactly what you expect from a Lonely Planet, which is great, but Mexico is such a big country that unfortunately a lot is left out. I am surprised that LP doesn't have more regional guides for Mexico. If they had had one for Central or Western Mexico that included Guadalajara, that would be ideal. LP's books are generally my go-to travel guides. This one on Mexico was good, but not great for info on the state of Oaxaca. If your looking for a region specific book you are better off going with a "Moon Handbook." Never leave home without the Lonely Planet!! It seems pretty comprehensive. The section on Baja and Los Cabos gave me several good ideas. Not the BEST travel book of all time, but the maps and hotel listings were used heavily during our trip across Mexico. Definitely helpful. Super helpful when travelling to the Yucatan and Quintana Roo. I took this on as trip with me and it had many useful tips. I learned a lot along the way. I found this book very helpful and full of some advice. 2) while wearing my new swimsuit. And it's keeping me sane. Excellent, thorough guide. Lonely Planet always covers travel that is more reasonable and less "touristy," which I love!